Calabasas, CA – Will Smiths, 16-year-old son Jaden may have been spotted pushing the gender boundaries the other day in Calabasas California. Jaden Smith was sporting what appeared to be a dark long-sleeved dress over his cut off jeans, accessorized with a white knitted or crochet top to add style to the otherwise plain outfit. Under closer examination it seems more as if it could have just been an overly baggy T-shirt or hoodie that looked like a dress being it came down over his cropped shorts and a white open mesh t-shirt over. He has been known to push the boundaries of style in his own seeming quirkiness in fashion. Showing off his new style seemed just natural along with a high confidence in his spirit. Went To TopShop To Buy Some Girl Clothes, I Mean "Clothes"
Jaden, has been thought to have dated Kylie Jenner, 17. With knowing the Jenner family, he also would be friends with Kylie’s sister Kendall Jenner. All who happen to be children of the television figure and Olympian Bruce Jenner. Bruce Jenner won the gold medal in track and fields decathlon in the 1976 Summer Olympics held in Montreal Canada. 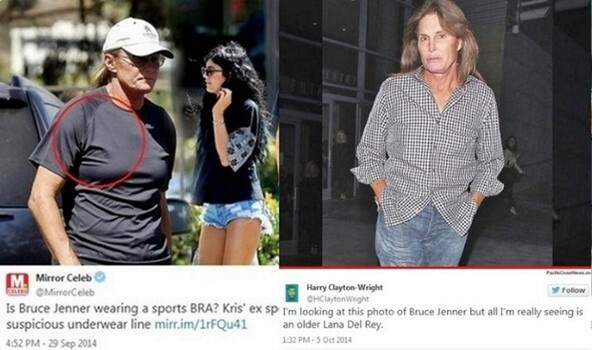 There has also been speculations that Bruce Jenner might be in transition. Now could it just be a small chance that this whole female dressing thing is just a product of tabloid runaway? The very fact Jaden is close to the Jenner family has sent conspiracy theories running across the tabloid news wires. Style, gender expression or publicity, all can apply if they fit. In a way it is nice to see that Jaden Smith has no problems bending the norm. He seems just to find it easy and holds enough confidence to wear what-ever he wishes. Now that is something I find very refreshing in our intolerant society. We will all just have to wait and see what tomorrow brings.